Boys to Men: Why Raising Boys Successfully in the Past Differs from Raising Boys Successfully in the Future For the first time in American history, young men will have less education than their dads. But is that just one sympton of the crisis leaving boys and men today about where girls and women were a half century ago? How deep is the crisis? What are its causes? What are the solutions? Dr. Warren Farrell's books include two award-winning international bestsellers, Why men are the way they are and The myth of male power. Dr. Farrell has appeared on more than 1000 TV shows, from Oprah to Larry King Live and The Daily Show. He has been featured repeatedly in The New York Times and The Wall Street Journal. Warren is currently co-authoring a book with John Gray called Boys to Men. He is chair of the Commission to Create a White House Council on Boys and Men. Find out more at www.warrenfarrell.com We the People lecture and film series is sponsored by the Congregational, Episcopal, and UU churches of Exeter and Water Street Bookstore, in cooperation with Phillips Exeter Academy. 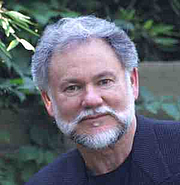 Warren Farrell is currently considered a "single author." If one or more works are by a distinct, homonymous authors, go ahead and split the author. Warren Farrell is composed of 8 names. You can examine and separate out names.